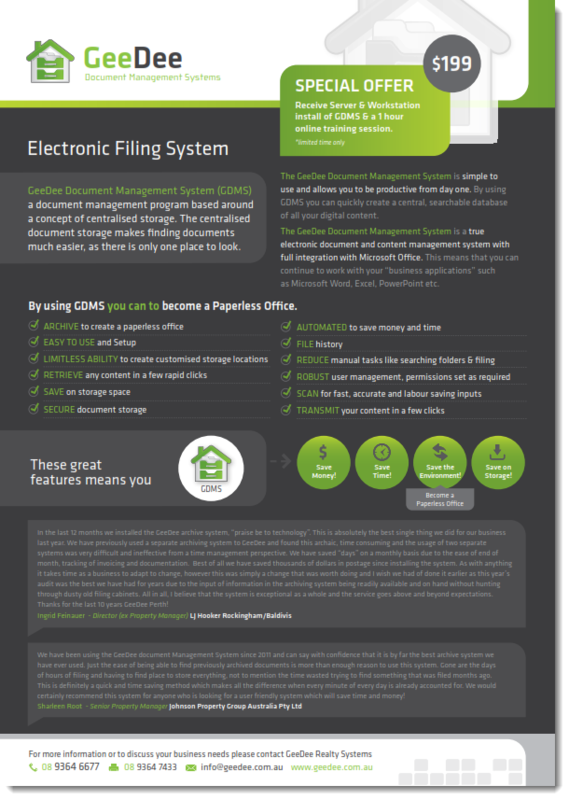 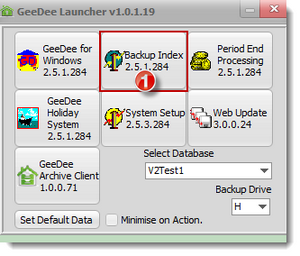 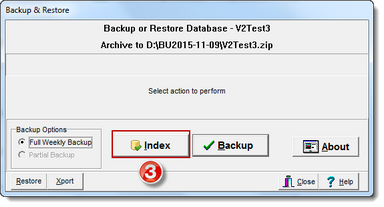 STEPS: New Documents - To add the new documents into GeeDee you will need to delete the existing documents through edit letters located in the File Drop Down Menu. 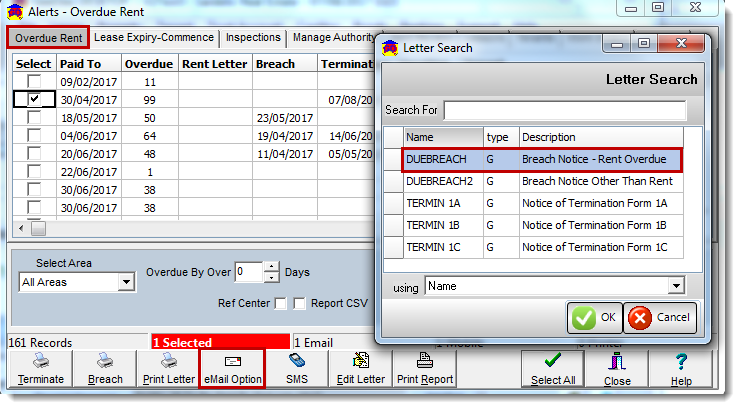 You can then select Import Letter at the bottom of the Edit Letter screen and go to the location which is G:/Program Files/GeeDee/Proman/ where the new documents have been saved. 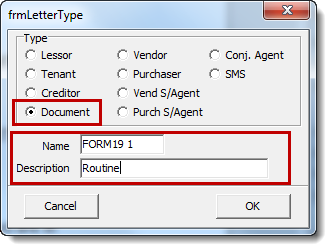 You can now send Form19 from within GeeDee. 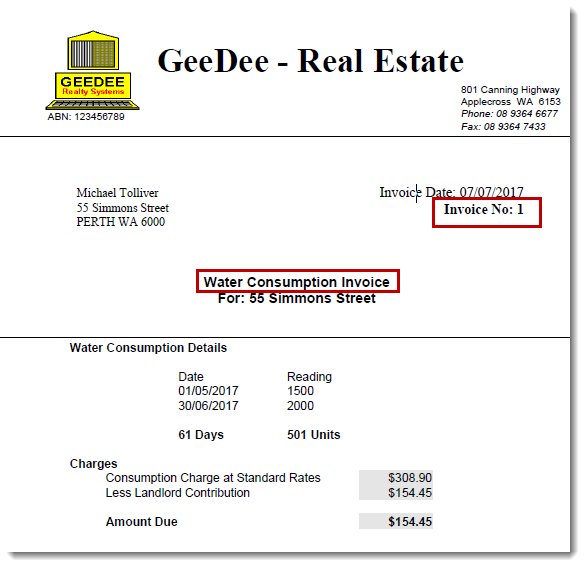 There are 4 reasons why an inspection is required and as such we have implemented 4 individual forms. 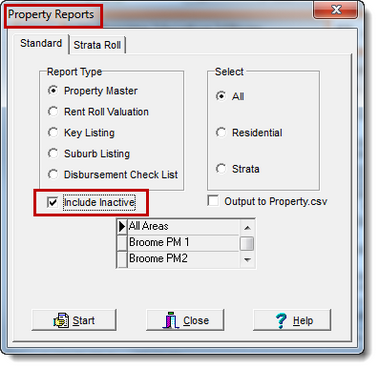 You select the one relevant to that property. 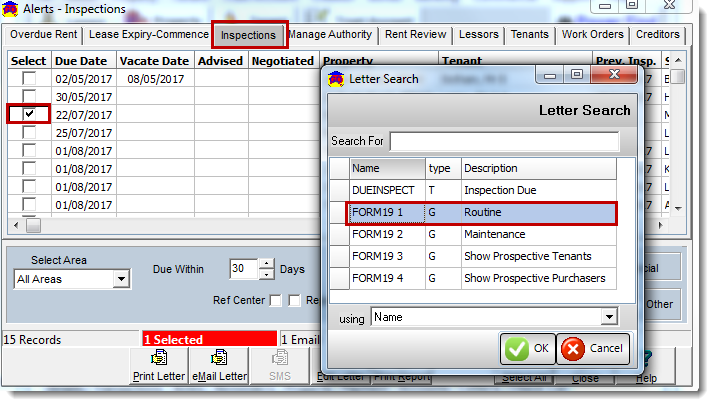 Form19 1 - is to conduct a Routine Inspection. 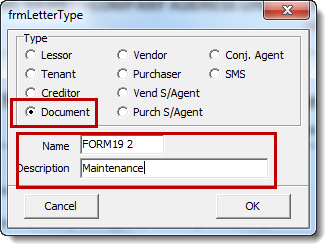 Form19 2 - is to carry out Maintenance. Form19 3 - is to show Prospective Tenants. 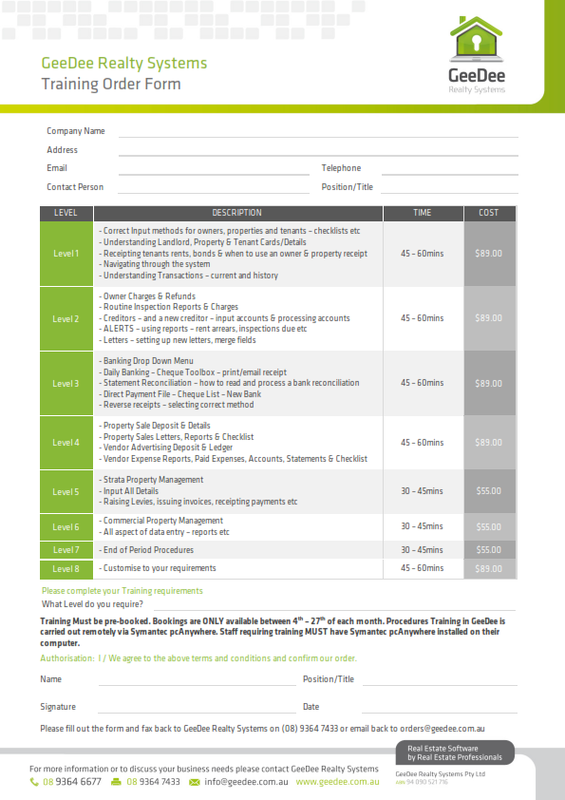 Form19 4 - is to show Prospective Purchasers. 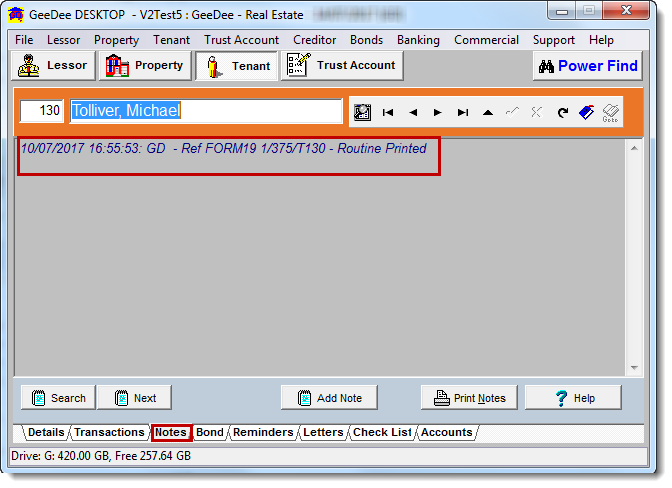 To add the new documents into GeeDee you will need to go to Edit letters located in the File Drop Down Menu. 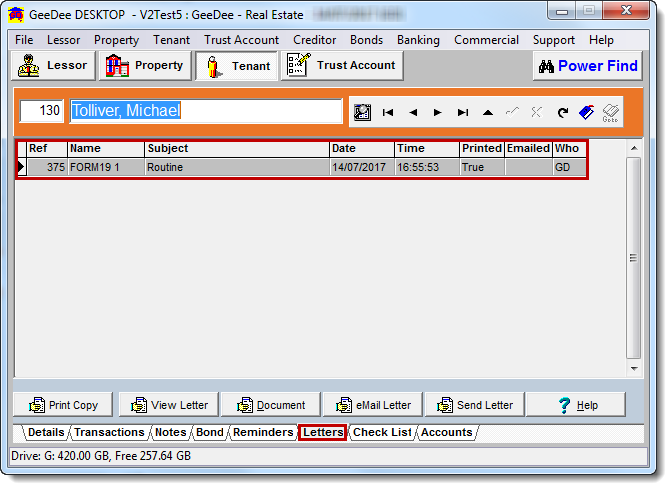 You can then select Import Letter at the bottom of the Edit Letter screen and go to the location which is G/Program Files/GeeDee/Proman where the new documents have been saved. 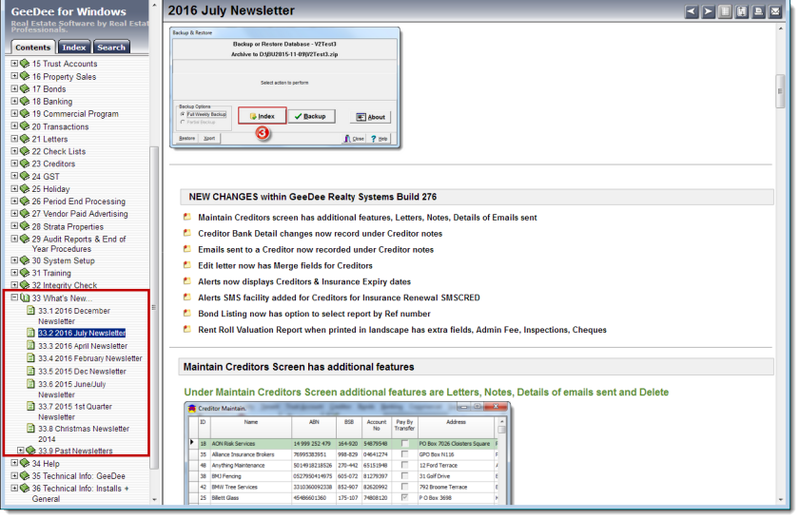 Once imported and saved then they will be available to select from the Alerts screen under inspections. 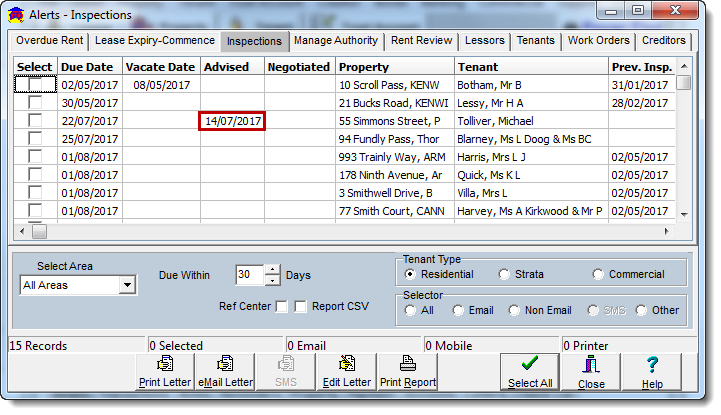 Once advised it will register as such under Alerts and also note under Tenant Notes and be listed under Tenant Letters. 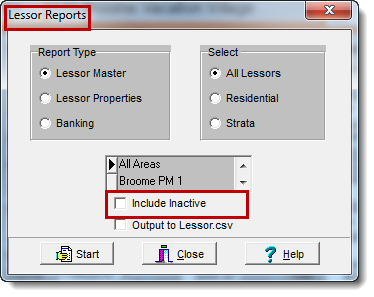 You can include or exclude the Inactive Lessors & Properties under reports. 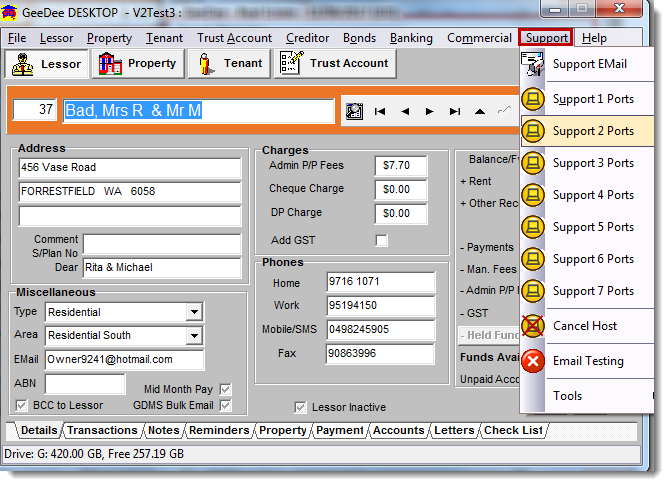 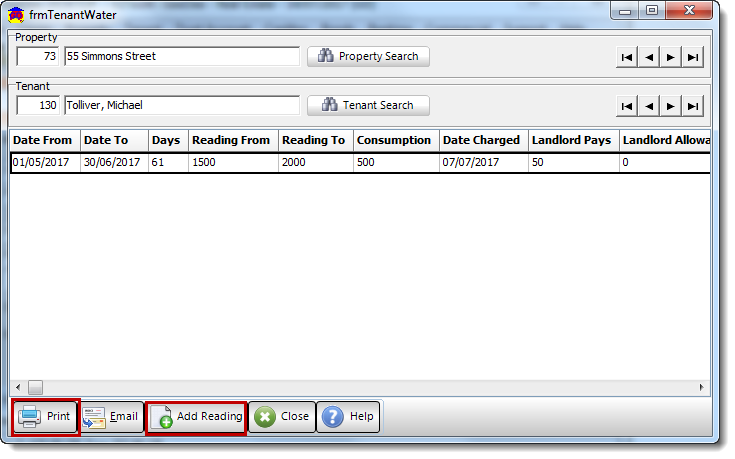 The Tenant Account Credits Held Report has now been added to the Trust Acc drop down and also will print with EOP reports. 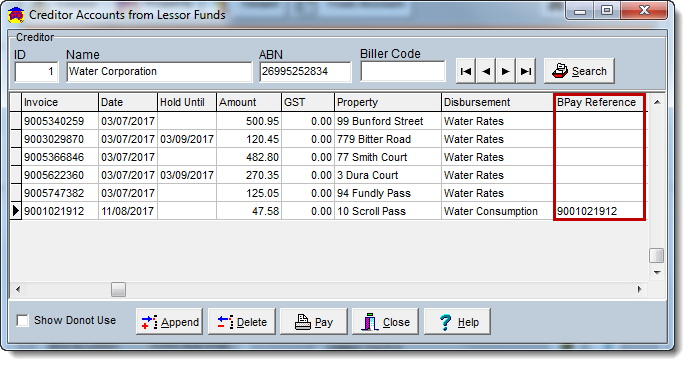 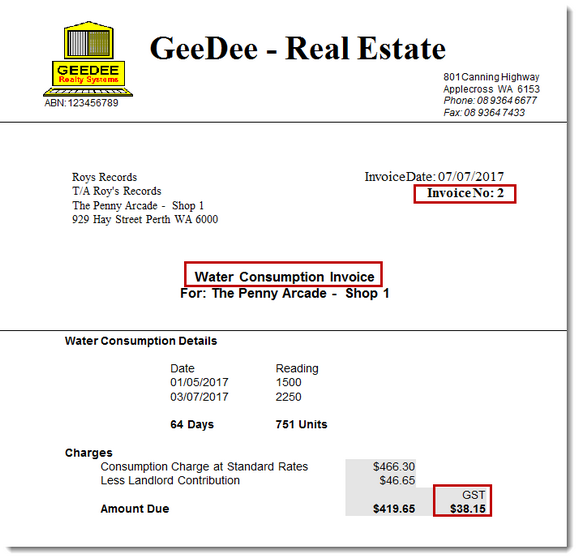 If using Water Consumption it will include the Invoice number to match the saved Tenant Invoice number. 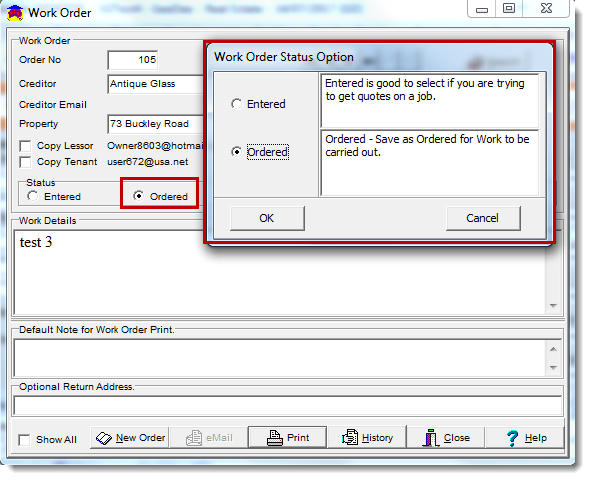 When a work order is created it will now ask you if this is to be Entered or Ordered. 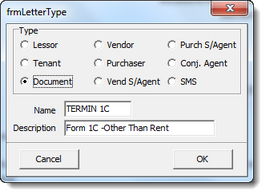 If Entered is selected it will stay as entered only to allow for quotes. 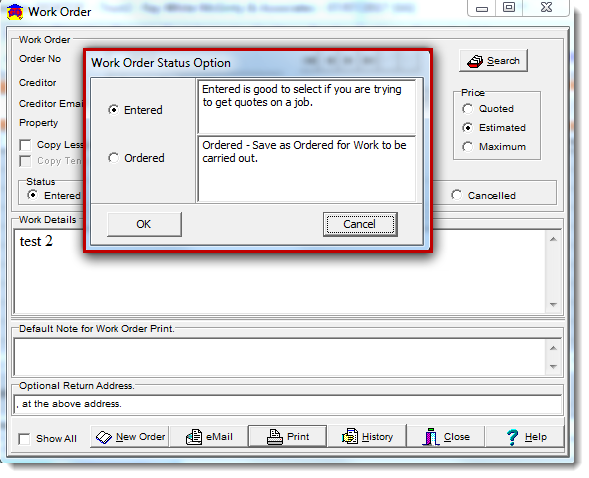 If Ordered is selected when emailed or printed it will change the status to ordered. 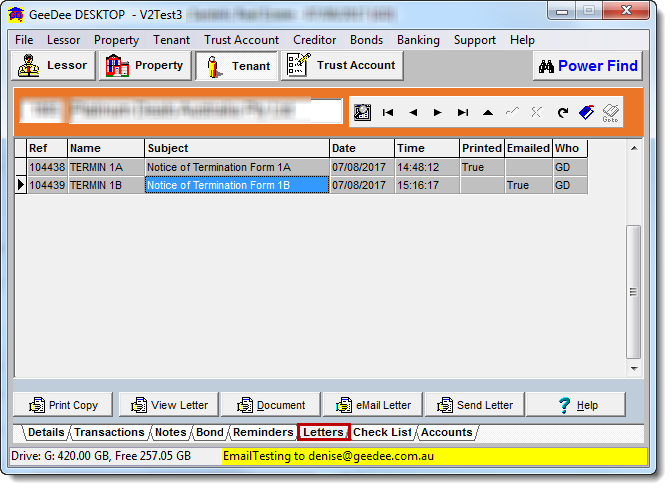 The option is now available to email from Alerts Terminations and Breaches however this must be on the Tenants lease agreement. This also can be viewed under Tenant Letters. 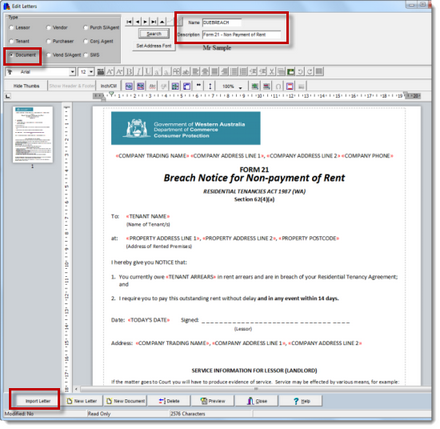 When printing a Breach or Termination from the Tenant Letters it saves under Letters . 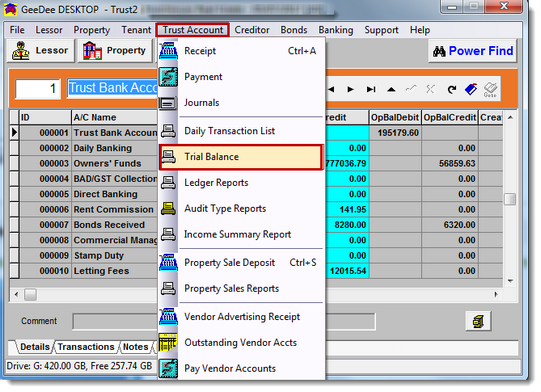 When scanning the account from Bar Code Scanner the reference number now registers under the account. 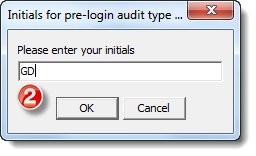 This is in preparation for the Bpay uploads. 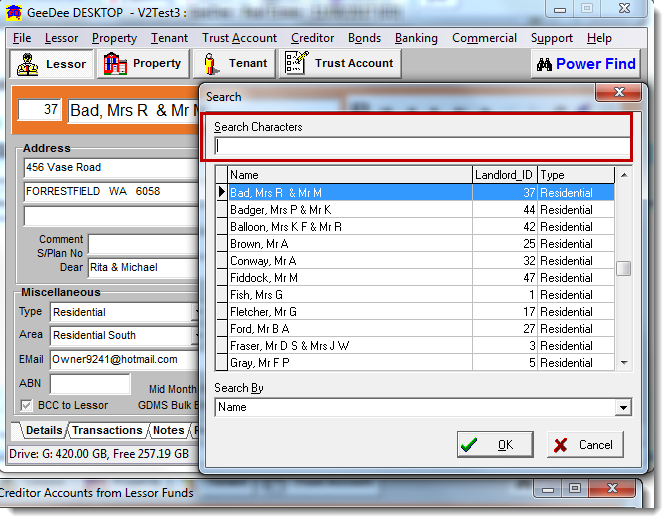 Alt S on your keyboard will allow access to the magnify/search for the 4 main tabs Lessor, Property, Tenant, Trust.